Just over 15 years ago, we ran a number of project management (soft) bench-marking groups. One of those was the UK’s Financial services sector. The group had well over 20 members, all of whom were household names. This group would pick topics to work on and share good practice. One year, they chose benefits realisation. Collectively as businesses, the group invested eye-watering sums of money every year on “business projects”. However, privately they were quite willing to admit that it would be very hard to demonstrate much or even any real benefit from the majority of those projects. By the end of the year, the group had produced what was really a detailed gap statement, describing many of the things that did not happen, leading to this situation. We facilitated the production of that output and it was signed-off by the whole group. We used that gap statement together with other ideas to develop the UK’s very first benefits realisation course in 2003. In ’03 it was hard to sell such a course, but gradually interest developed. Right now in 2017, it’s the most popular course we have. From day one, we recognised that with this course in particular, using generic examples as the basis of practical sessions would not work, so we took the decision never to do this. Since the course was launched, we have always asked participants to choose an example of a piece of business from their organisation (e.g. a project or part of), to use as the basis of all practical sessions. most of the gaps identified 15 years ago are pretty much still the same in many organisations today. Today, in 2017, the course focuses on the elements people find hardest to do and those ‘gaps’ that will make the biggest difference to the results of projects, i.e. the potential benefits that follow delivery of a project. It has also allowed us to build in well over a decade of highly practical experience on this subject back into the material and its delivery, as when we deliver the course we are always working on real projects and real business problems. It is quite rare to ever be able to say this, but we believe this gives us a unique position relating to this topic. And our evidence for saying this?
" You kept us fully engaged throughout the whole day - excellent session. " " Thanks again for a great session with our team. I know I came away with several useful nuggets that I want to apply straight away. " " Thank you for a really engaging and interesting training session on BRM "
" many thanks for the very good and helpful course yesterday. Nigel and I both agreed that the content was really well presented, and helped to consolidate a lot of elements for us which we will be able to put to immediate use. " " the course was a resounding success and the team have already started to look at things in a completely different way "
" many thanks, I found the course both interesting and enjoyable, it's as if you've shone some light on what seemed to be a dark art. I now feel we have a framework which will allow us to progress with our benefits processes in a more structured and logical manner. I will have no hesitations in recommending your course to my colleagues "
" very worthwhile course, clarified the scope the activity (and associated work to implement a BM approach) - we will definitely use the course to influence our future work "
" thank you, I found the course very useful and now feel I have the tools and understanding to progress this element of our Programme. Wish me luck! " 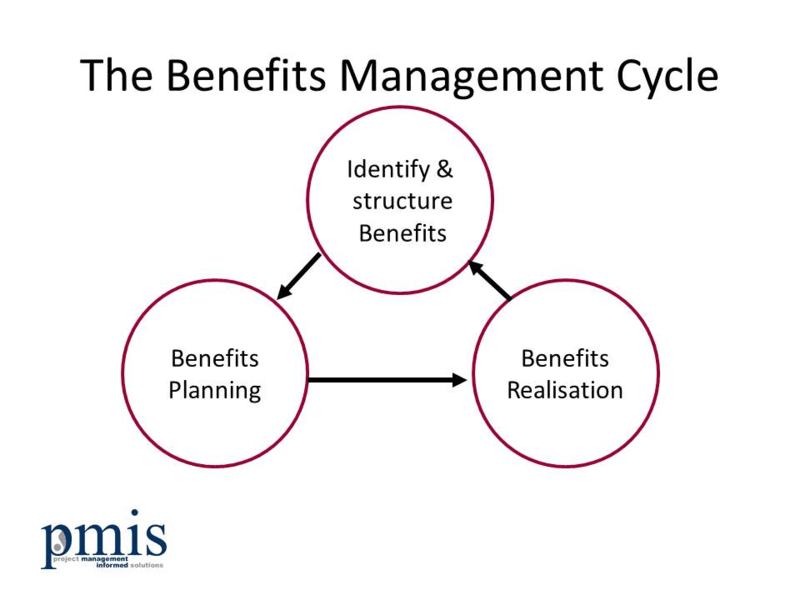 Want to make improvement in Benefits delivery?